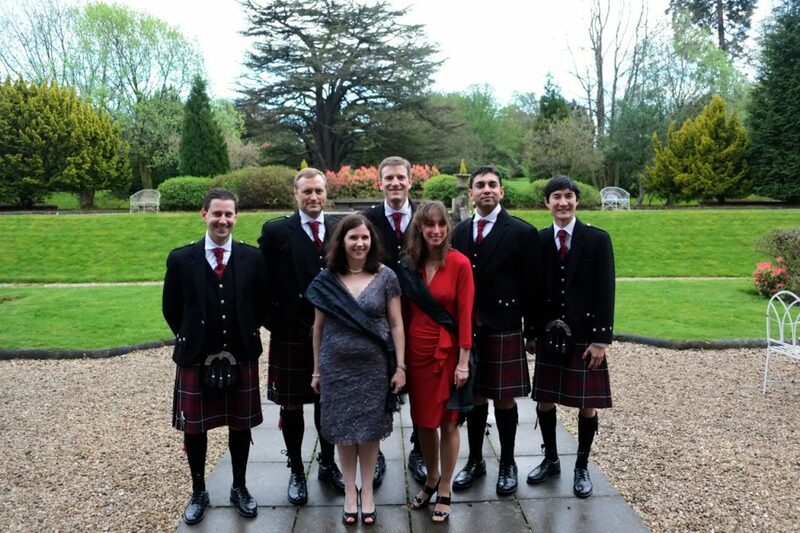 As recent fellows of the Spring ABC 2013 tour, we are privileged to highlight memorable experiences of our five weeks of travel throughout the United Kingdom (UK) and South Africa (SA). This year, Michelle Ghert (Orthopaedic Oncology, McMaster University) and Albert Yee (Orthopaedics, Spine Surgery, University of Toronto) represented Canada. We enjoyed travelling with several respected surgeons from the United States: Dr. Gregory Della Rocca, a trauma specialist (University of Missouri); Dr. Ranjan Gupta, an upper limb and peripheral nerve surgeon (University of California-Irvine); two sports medicine specialists (Dr. Matthew Provencher, Harvard University and Dr. Brian Wolf, University of Iowa); and Dr. Jennifer Wolf, a hand surgeon from the University of Connecticut. Dr. R.I. Harris, University of Toronto, conceived the American-British-Canadian (ABC) exchange in 1947 during his tenure as the President of the American Orthopaedic Association (AOA). This opportunity aimed to enhance the exchange of orthopaedic knowledge internationally. The inaugural tour in the spring of 1948 witnessed thirteen orthopaedic surgeons from Great Britain sailing to North America aboard the RMS Queen Elizabeth. With the exception of brief periods early on when the Orthopaedic Associations debated the merits of continuing the exchange given its expense, this fellowship has become one of the longest ongoing international tours since its inception. The ABC (Commonwealth) tour was later expanded to include additional countries: SA, Australia, and New Zealand. 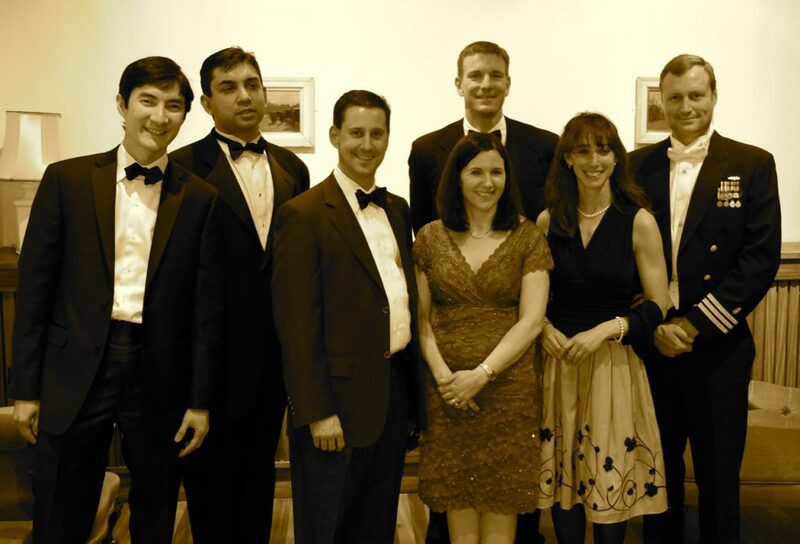 On alternate years, either North American (NA) fellows travel abroad or NA centres host international fellows from SA, Australia, the UK and New Zealand. From 1948-2013, a total of 61 Canadians have traveled as ABC Exchange Fellows. Prior to our departure, Dr. Joseph Zuckerman (AOA, Fellowship Committee Chair and ABC Fellow 1991) hosted a planning meeting. The advice of former fellows such as Dr. Leesa M. Galatz (ABC Fellow 2009) was invaluable. We arrived in London on April 21st, enjoying a gracious welcome by Mr. David Stanley (Honorary Secretary, British Orthopaedic Association (BOA)), his wife Marilyn, and Ms. Hazel Choules (Head of Events, BOA). Mr. Steven Jones and Mr. Marcelino Maheson hosted, organizing an excellent day of academia. Sessions were led by subspecialists (Mr. John Howes, Spine; Mr. Mark Forster and Mr. Alun John, Lower Extremity; Mr. Richard Evans and Mr. Andy Logan, Upper Extremity; Mr. Kitish Mohanty (former fellow, University of Calgary), Trauma; Mr. Rhys Thomas, Foot and Ankle; and Ms. Clare Carpenter, Paediatrics). We learnt about their musculoskeletal research centre (Arthritis Research UK Biomechanics and Bioengineering UK Centre). Professor Ashley Blom (University of Bristol) provided an overview of the National Joint Registry (NJR). We ended up hearing a lot throughout the UK about the NJR and their experience of metal-on-metal hip arthroplasty. What impressed our group was how well-established the NJR was so as to facilitate reporting of pivotal research pertaining to patient outcomes. We were treated to dinner at La Marina in the Custom House, a Spanish-themed restaurant. Post-dinner festivities included spontaneous renditions of the Welsh, American, and Canadian (thanks Michelle!) national anthems. We enjoyed our first black-tie venue. Mr. David Stanley and his wife Marilyn guided us on an early evening stroll along the River Thames to our dinner held aboard the HQS Wellington. We enjoyed a warm welcome and were hosted by Mr. Martyn Porter (BOA president) and his wife, Katherine. Professor Timothy Briggs (ABC Fellow 1998) organized our visit to the Royal National Orthopaedic Hospital (RNOH). RNOH has a rich history in British orthopaedics. We enjoyed a memorable personal hospital tour by Mr. Aresh Hashemi-Nejad (ABC Fellow 2006; former paediatric fellow, Hospital for Sick Children, Toronto) and Professor Tony Catterall (ABC Fellow 1970). We joined the academic session of the Annual Meeting of the Seddon Society. Mr. John Skinner (ABC Fellow 2004) and Professor Briggs co-chaired a program alternating between ABC fellow and RNOH faculty presentations. Mr. Keith Tucker provided a key update on national health system initiatives. He educated our group on activities led by the National Institute for Health and Clinical Excellence (NICE). Guidelines have been developed to provide earlier detection of implant defects, harmonize methods of surveillance, and enhance system’s capacity for timely contact and care provision for patients of a recalled implant. Mr. Richard Villar (International Advisory Editor/Past Editor-in-Chief) and Ms. Emma Vodden (Head of subscriptions and customer service) engaged us in an interactive discussion about publishing practices, the influence of open access journals, and the evolution of the B&JJ including new initiatives in knowledge dissemination (Bone & Joint Research and Bone and Joint 360). Mr. Peter McLardy-Smith and Mr. Duncan Whitwell (ABC Fellow 2012) were gracious hosts. Mr. G. Philip Wilde (former fellow, Holland Orthopaedic and Arthritic Centre, Toronto, Ontario) met us at the Radcliffe Infirmary Hospital. We toured the hospital and the Kadoorie Education Centre. Professor Keith Willett (UK National Clinic Director of Trauma, Department of Health and former fellow, Sunnybrook Health Sciences Centre, Toronto) educated us on his efforts leading important national advances in trauma care. He highlighted National Health Trust improvements to hip fracture care achieved by new standards supported by a patient care model built upon a framework of shared responsibility and accountability. Dr. Willett was also the R.I. Harris Guest Lecturer at this year’s COA Annual Meeting in Winnipeg. Michelle with our official ‘blue’ tour camera capturing memorable images. We visited the Nuffield Orthopaedic Centre and toured the Botnar Research Centre. Professor Andrew Carr (ABC Fellow 1998) highlighted by presentations on shoulder tissue engineering, evidence-based approaches in joint replacement, and patient-rated-outcome-measures (PROMs). We enjoyed a black-tie dinner at St. Anne’s College followed by a weekend tour of Oxford University and a visit to Blenheim Castle. We visited the Royal Centre for Defence Medicine (RCDM) at the Queen Elizabeth Hospital Birmingham, where all British soldiers from Afghanistan with emergent conditions are evacuated back to the UK. Professor Sir Keith Porter led us on discussions about high-energy military trauma with presentations by Mr. Julian Cooper, Lt. Col. Alistair Mountain, and Lt. Col. Tom Rowlands. 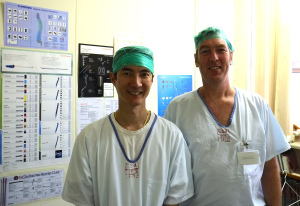 At the Royal Orthopaedic Hospital Birmingham, Mr. Simon Carter (ABC Fellow 1996) and Mr. Rob Grimer (ABC Fellow 1990) organized presentations in oncology, imaging, and the Birmingham hip. Michelle enjoyed Multidisciplinary Tumour conference and Albert spent time with Mr. David Marks in theatre. We were hosted by Mr. Anil Gambhir. Professor Len Funk and his wife Angela opened their spectacular home to us for dinner. Mr. Martyn Porter (President, BOA; ABC Fellow 1994) started an academic session with a history of Wrightington and the ABC Fellowship. No orthopaedic visit to the UK would be complete without a visit to the Charnley Museum (Centre for Hip Surgery). We enjoyed a very informative tour of the museum led by Mr. Bodo Purbach and Professor Michael Wroblewski. It was inspiring to learn more of Sir John Charnley’s innovations in surgical sepsis, biomaterials and his understanding of biomechanics that have revolutionized our specialty. The ABC fellows appreciated Mr. David Stanley’s hospitality devoting significant time out of his personal schedule to ensure that we were well-received throughout the UK. He guided us on a scenic tour of the Peak District National Park where we ended up at the Upper Derwent Valley. The famed Derwent Dams served as ‘target’ practice for Lancaster bombers (617 Dam Busters Squadron) in 1943 before their attack on the Germany Ruhr dams. Hassop Hall was a picturesque hotel with a rich history stretching over 900 years. We enjoyed a marvelous evening hosted by Mr. David Stanley and his wife Marilyn. We enjoyed learning more about Orthopaedic Equipment Manufacturers (OEMs). OEMs do not sell to the end user (i.e. surgeon, hospital), but to the familiar implant companies that do so (e.g. Zimmer Inc., Biomet Inc., etc.). Allan Wall from Symmetry taught us about OEM manufacturing processes and product distribution. At Sheffield Precision Medical Inc., Brian Reece (CEO and Managing Director) highlighted templating processes involved in both custom as well as large-scale productions, benefiting from advances in Computer Numeric Controlled (CNC) machine technology. Mr. Stanley chaired an interactive academic session at the Sheffield Teaching Hospital. That evening we relaxed with the registrars at a local restaurant. We also enjoyed touring the fabulous Chatsworth House. 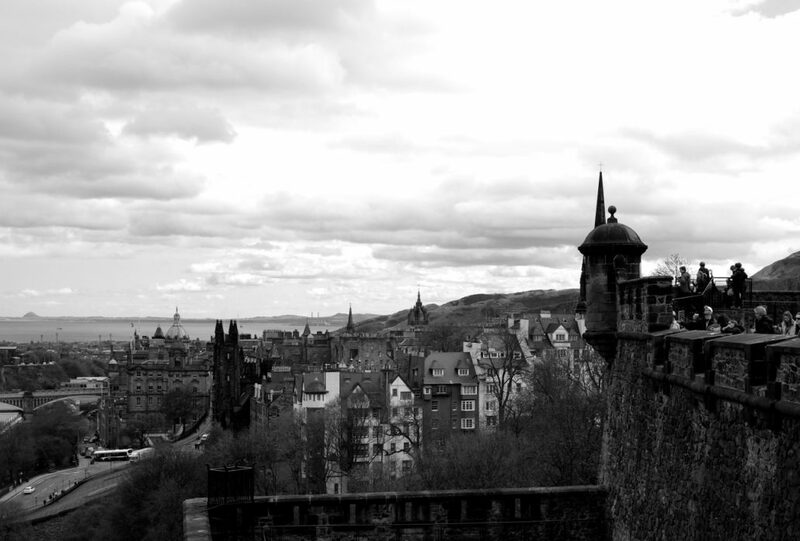 We enjoyed a breathtaking coastal train ride to scenic Edinburgh, Scotland. We were greeted by Ms. Leela Biant (ABC Fellow 2010), Professor Hamish Simpson (ABC Fellow 1996), and Mr. John Keating (ABC Fellow 1996). Michelle and Jennifer in our group were fortunate to have their families travel to the UK, reuniting in Edinburgh. Mr. Hamish Simpson chaired the academic program at Royal Edinburgh Hospital. We attended morning trauma rounds followed by a series of presentations including one by Mr. Colin Howie, the future BOA President. He shared experiences of the Scottish Total Joint Registry since 1999. Mr. Mike Reed (ABC Fellow 2012) and Professor Andrew McCaskie were our co-hosts. We enjoyed dinner at Dilston House, the home of Mr. Paul Partington and his wife Vanessa. We learnt of the region’s Roman history including remnants of Hadrian’s Wall built to separate Scotland from England. An excellent academic program was organized and we visited the Royal Infirmary Hospital as well as the Hexan General Hospital for subspecialty sessions. We heard from Professor Paul Gregg (NJR Steering Committee and ABC Fellow 1984). We learned about surgeon league tables and how the NJR’s monitors activities in orthopaedic units, hospitals, and implant suppliers. There was a lot of discussion and debate regarding the emergence of surgeon-specific outcomes and the metrics that are now beginning to be reported publically. 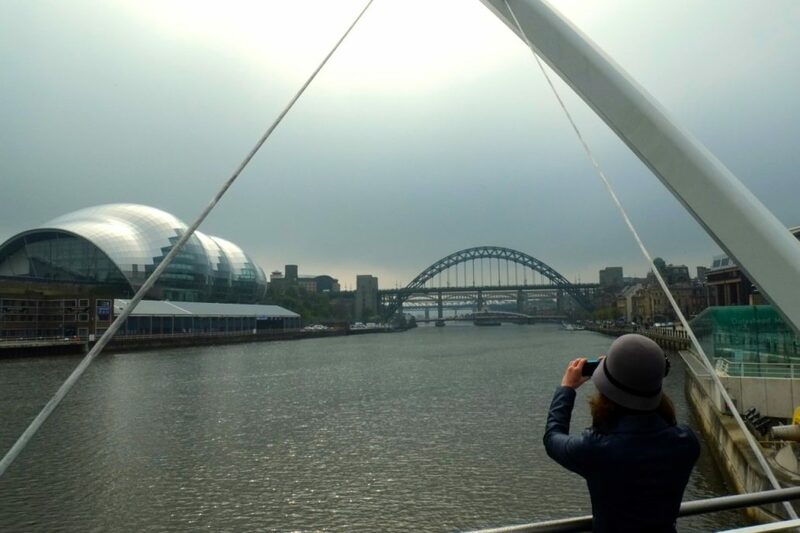 At Newcastle’s Institute of Transplantation at the Freeman Hospital, Professor McCaskie outlined the institute’s themes in translational osteoarthritis research and we visited the Newcastle Surgical Training Centre. Our hosts were Dominic Meek (ABC fellow 2008), Catherine Kellett (ABC fellow 2012) and Jim Huntley (ABC fellow 2012). Michelle and Albert enjoyed hearing of Dominic’s as well as Catherine’s experiences as clinical fellows in Canada. We visited the famed William Hunter museum at the university. Jim presented an informative history highlighting the many medical contributions of Hunter, Lister, MacEwen, Trendelenberg, and Dennison. We toured the Clinical Anatomy Skills Centre and at the Glasgow Royal Infirmary, we enjoyed concurrent subspecialty symposia co-organized by Mr. Duncan MacDonald and Mr. Ashish Mahendra. We visited the Beardmore Hotel and Conference Centre at the NHS Golden Jubilee National Hospital. At this modern facility set upon the background of large ships traversing the River Clyde, we enjoyed an evening with attendees of the National Advanced Hip Arthroplasty Meeting. We enjoyed meeting up with fellow Canadian Dr. Allan Gross (ABC Fellow 1977) in Glasgow. We arrived back in London after a phenomenal three weeks of travel. Michelle and Jennifer reconnected with their families and Ranjan’s family flew out for the weekend. The rest of us enjoyed a fabulous dinner at St. John’s that Greg had organized for us months in advance. On Sunday afternoon, we boarded the red-eye to South Africa (SA) for what would turn out to be a very different but equally spectacular visit. Dr. Chris Snyckers (ABC fellow 2012) was our host. We traveled directly to Pilanaesberg National Park along with Dr. Doron Frantzen. This was our first experience of the beautiful SA wildlife. We visited the Steve Biko Academic Hospital, University of Pretoria. Greeted by Professor MV Ngcelwane, Dr. Thomas Kruger chaired a joint orthopaedics/radiology teaching session. We then enjoyed concurrent sessions in spine (Dr. Thomas Kruger), upper extremity, oncology (Dr. Doron Frantzen) and trauma (Dr. Franz Birkholtz, Unitas Hospital). At Kalafoong Hospital, University of Pretoria, Professor NS Motsitsi chaired a dynamic resident teaching session. It was a valuable experience to learn about health care issues in South Africa. The prevalence of tuberculosis, human immunodeficiency and related diseases impressed upon us. There is also a high volume of motor-vehicular as well as penetrating trauma. Many patients often present late following trauma and in some respects, the challenges for orthopaedic surgeons in SA are quite different from those facing NA surgeons. At the University of Limpopo, Mendunsa, we were hosted by Professor Tom Mariba (ABC Fellow 2006) and met Professor Robert Golele. We were impressed with the volume of trauma at the 1600-bed Dr. George Mukhari Academic Hospital. We visited the University of the Witwatersand, Johannesburg (WITS Orthopaedics). Dr. Andrew Barrow (ABC fellow 2008) met us at the Charlotte Maxeke Johannesburg Academic Hospital along with Dr. Sebastian Magobotha. Professor Einhart Erken welcomed the ABC fellows and Professor Ramokgopa chaired a session on complex trauma and paediatric spine deformity. We quickly learned of human resource issues in SA with some regions having less than 0.5 orthopaedic surgeons/100,000 individuals. There is also a significant migration of people from regions outside of SA into the country seeking medical care. We viewed the Chris Hani Baragwanath Hospital, the largest hospital in the world (over 3000 beds sprawling 173 acres). We visited Soweto, the residential area of Nelson Mandela and Desmond Tutu. We were sobered by the images and story of Hector Peterson at his memorial, a young victim of racial violence. Durban is located on the east coast (Province of KwaZulu-Natal). Our hosts were Drs. Basil Stathoulis and Robert Fraser (ABC Fellow 1996). We visited the Inkosi Albert Luthuli Central Hospital (IALCH), a quaternary care hospital named in honour of Albert Luthuli, the former president of the African National Congress who received the Nobel Peace Prize in 1960 for his non-violent struggle against apartheid. Professor Ischmail Goga led an academic sessions discussing challenging cases of pelvic trauma, musculoskeletal tumours, paediatric infections, and limb deformity. We waded in the temperate waters of the Indian Ocean. We were treated to spectacular safari experience hosted by Basil, his wife Ines, along with spine surgeons Drs. Ravel Ramiakan and Alberto Puddu. 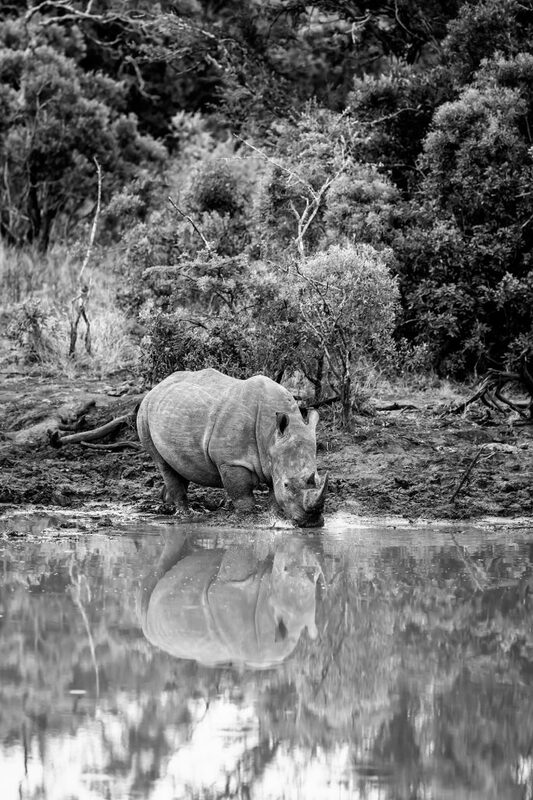 We viewed wildlife by open-top jeep and had early evening as well as early morning tours of the Thanda Private Game Reserve. We enjoyed Basil’s photography and fabulous meals prepared by lodge staff and were accompanied by traditional Zulu song and dance by the same wonderful individuals. The experience of Thanda is difficult to capture in words, but the ABC fellows returned to the city with broadened horizons both in the understanding of Africa and its wildlife, and in the cultural bonding inherent in the ABC fellowship. Bloemfontein (the ‘city of flowers’, elevation 1400 metres) is located in the central South SA province of Free State and is also the headquarters of the SA Orthopaedic Association (SAOA). We were hosted by Drs. Frederik P. Duplesis and enjoyed trauma rounds at Pelonomi Hospital. The residents from the University of Free State presented several complex cases. We drove up Naval Hill to view the city and the Nelson Mandela statue (erected in 2012 to commemorate the 100-year anniversary of the African National Congress). At the medical school of the University of Free State, we enjoyed an academic session chaired by Dr. Kobus Smit. We enjoyed dinner at the extraordinary home of Dr. Greeff. Enjoying magnificent sunset views, the ABC fellows enjoyed presenting in a beautiful stone building with the session chaired by SAOA President, Dr. Allen Van Zyl. We enjoyed our flight through the mountains into the city where the Indian and Atlantic Oceans meet. Professor Robert Dunn (ABC Fellow 2006) and Dr. Michael Solomons hosted us. We trekked up the Platteklip Gorge to the top of Table Mountain and enjoyed sampling wine-flights at Steenberg, Constantia Glen and Klein Constantia. We were treated to game at Hussar’s restaurant hosted by Professor Dunn, Stewart Dixpeek (ABC fellow 2010), Steve Roche, Michael Solomons and Rob Dachs. Albert scrubbed in with Professor Dunn, learning technical pearls in complex upper cervical paediatric surgery. Jennifer and Ranjan joined Michael Solomons and Michelle Maree in the hand clinic. The others visited the Heart of Cape Town museum, dedicated to the first successful heart transplant performed in 1967 at the Groote Schuur Hospital. We enjoyed a combined academic session with the consultants and trainees from the University of Cape Town (Professor Dunn) and Stellenbosch University (Professor DuToit). We also visited Tygerberg Hospital hosted by Dr. Sean Pretorius. Following a memorable dinner at Nobu, we took final tour photos at the Cape Town International Airport. The 2013 ABC Tour was an incredible once-in-a-lifetime opportunity for each of us. Academically we each benefited immensely, far more than we were able to reciprocate during our travels. From a Canadian perspective, the UK experience highlights how well-structured registries can be harnessed to guide improvements in clinical care. Innovative models of care built on a shared vision of responsibility can be transformative in enhancing access and improving outcomes. The public reporting of surgeon-specific outcomes heralds a new era in accountability. As surgeons and scientific societies in Canada, we should actively engage dialogue in this aspect of health services delivery being proactive and key stakeholders in important accountability discussions. The SA experience highlights a different spectrum of orthopaedic practice that we can learn from. The expertise of our colleagues is valuable in the treatment of musculoskeletal related infections, complex trauma, as well as chronic post-traumatic conditions. Wait times and access to care has been topical in Canada. Our SA colleagues are also challenged in meeting patient care needs when considering the number of orthopaedic surgeons per capita. There are also cultural considerations that may delay patients from seeking medical care. For a variety of reasons that include patient factors as well as geography, care provision in SA continues to be reliant on a supportive in-hospital care-based system. Some of the largest hospitals in the world are based in SA. It is also interesting to reflect on how much of Canadian orthopaedic surgical care is now outpatient-based, as driven by challenges in access and resources. In summary, Michelle and Albert were privileged to represent Canada. Our group enjoyed the academic, cultural, and social aspects that define ‘fellowship’. We would like to thank the COA, AOA, BOA, and B&JJ, and the SAOA for supporting our travels. We recognize all the organization required. Special thanks to Ms. Cynthia Vezina (Manager, Communications & Membership Services, COA), Dr. Pascal-André Vendittoli (Exchange Fellowships Committee Chair, COA), Ms. Hazel Choules (Head of Events, BOA), and Ms. Vicki Ault (Meetings and Fellowships Coordinator, AOA)! We are also appreciative of our university orthopaedic departments/divisions as well as clinical partners for supporting our time away. On a final note, we highly recommend this exchange to any of our fellow Canadians that may consider applying for this special opportunity. F.G. St Clair Strange, The History of the ABC Club of Travelling Fellows. The British Editorial Society of Bone and Joint surgery, London 1998.